When I was 12 years old I would help my dad install shingles on side jobs to make extra spending money. When I was 15 I roofed my first house for a neighbor. Then another neighbor hired me to do his roof then another neighbor. Then I ended up installing new connects to sewer lines the following year when my hometown, Battle Ground, Indiana, converted from septic to city waste control. Then when I turned 18 I got hired by a concrete company & worked for them until I was 21 at which time I started my own business pouring concrete and roofing houses. When I turned 28 I moved my business to Miami, FL as it was too cold to work year round up north. When I moved to Florida I vowed to never roof another house and put all my energy into becoming a premier concrete contractor. 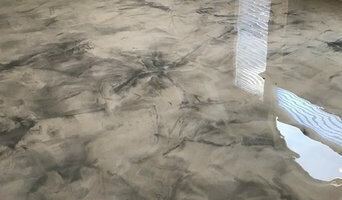 I hired a man who had worked with, and is an expert stamped concrete installer. He taught me the ropes while I was selling the jobs and helping install them. 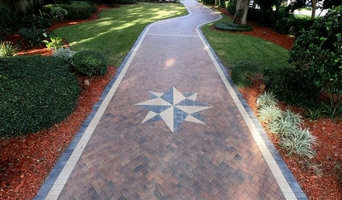 After 6 years in Miami I had the opportunity to install a stamped driveway in the Plantation in Ponte Vedra Beach Fla. It was so much nicer here that I decided to move my business here as there was only two stamped concrete company's here and lots of opportunity. I moved here right as hurricane Hugo went by and have been here ever since, doing thousands of concrete jobs large and small including plain and decorative concrete. We also have installed hundreds of new home slabs between St. Johns, Duval and Nassau Counties. I bought a home on the Intracoastal Waterway in 1991 and plan to stay here forever. We have evolved into paver driveways and overlay stamping on existing slabs but our main focus in on concrete as we have been pouring it for over 30 years. My goal is the same as always and that is to install the best and longest lasting concrete jobs possible. 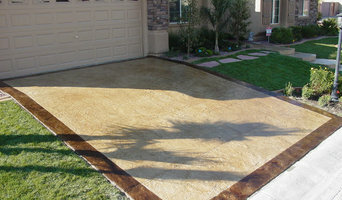 For an affordable yet high-end look in Jacksonville, FL, stamped concrete patios are the way to go. 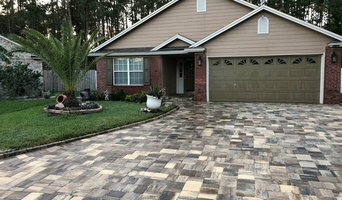 A Jacksonville concrete stamping professional can replicate the appearance of natural stone or pavers, creating a surface that requires minimal maintenance. 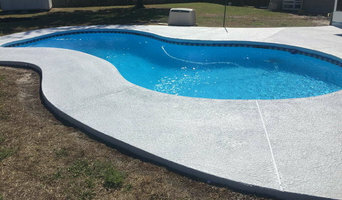 With endless decorative concrete design and color combinations, it’s important that any Jacksonville, FL stamped concrete contractors you’re interested in show you photos of their work to ensure you’re on the same page.